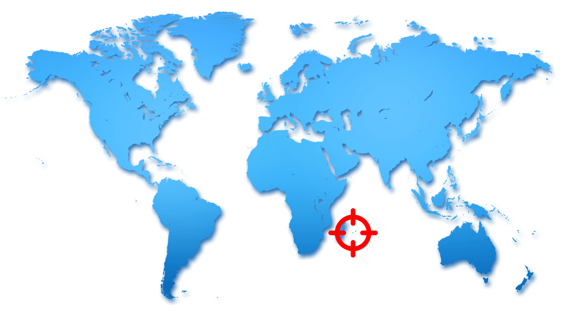 The 5th International OTEC Symposium will take place in Reunion Island, in the town of Saint-Pierre situated in the South of the Island. Reunion Island is a French department in the Indian Ocean at about 500 miles East from Madagascar. Together with Mauritius and Rodrigue Islands, it forms the Mascareignes Archipelago. Reunion Island offers very diverse vacation opportunities with nice beaches, lagoons and coral reefs on the west coast, high mountains (up to 3000 m altitude), a paradise for hiking and canyoning, and the Piton de la Fournaise, one of the most active volcanoes in the world. Reunion benefits from a tropical climate, a little windy on the east coast, due to the permanent southeast trade winds. The sun shines all year round, especially in the north, west and south of the island. Due to its hilly landscape, Reunion also experiences a wide variety of microclimates. November corresponds to Austral spring, air temperature between 25°C and 35 °C at sea level and water temperature around 27 °C. A bus line (yellow coaches) serves the airport of Saint-Denis towards Saint-Pierre. The line Tallows you to reach Saint-Pierre passing near all the most beautiful beaches of the island. It takes around 2 hours to get to Saint-Pierre. From here, you can take the ‘Alternéo’ bus, line Littoto the Marché couvert bus stop, and from here main hotels (Alizé Plage, Le Saint-Pierre, Lindsey Hostel, Villa Delisles) are reachable by foot(about 5 minute walk). You could alternatively take a taxi ridefrom the airport to your hotel for approximately 120€. 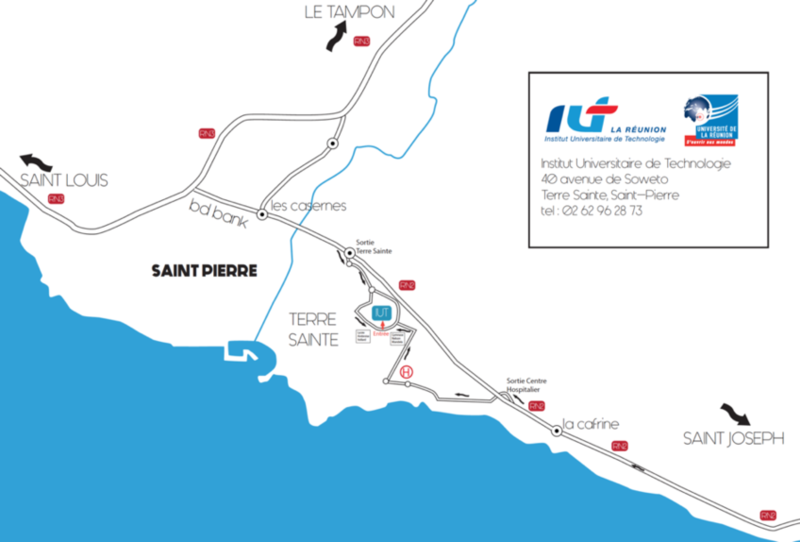 From the yellow coach station of Saint-Pierre, or from the Marché couvert bus stop, you could take the pink ‘Alternéo’ bus, line Litto in the direction of Eglise Petite Ileto reach the IUT. You will arrive just in front of the IUT main entrance. GMT+4: three hours ahead of metropolitan France from November to March. Two hours ahead from April to October. Discounted rates are valid until September the 30th, 2017 (local time), subject to availability of hotel rooms. 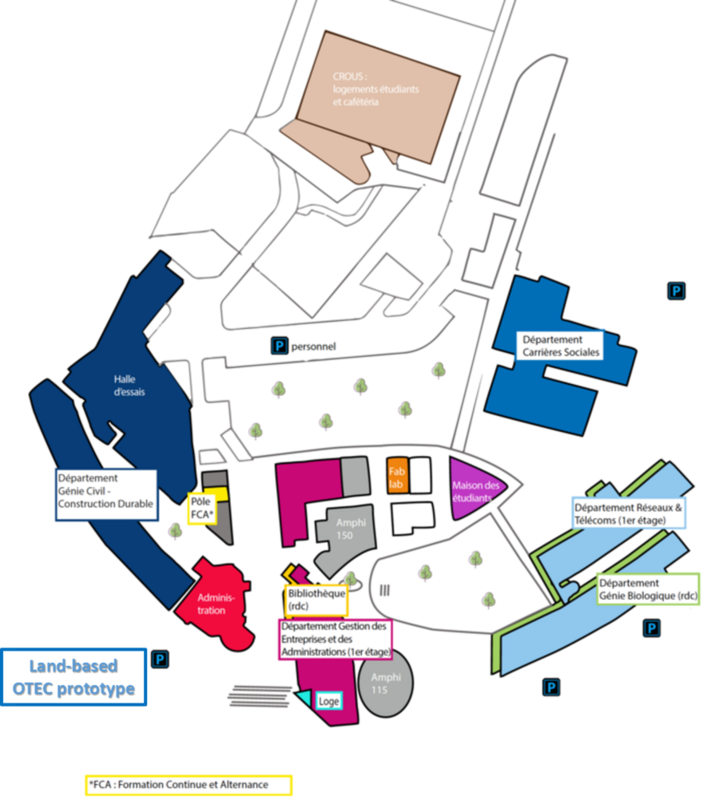 In order to benefit the discount rates negotiated by the organizers, the attendee must specify, when contacting the hotel for reservation, he is participating to the 2017 OTEC symposium of the University of Reunion Island.